Vital Sales Tool = Your Calendar! Sometimes repetition drives home an important thought or message. It’s no wonder a business repeats it’s TV commercials methodically throughout an advertising sales period. Repetition captures the attention of viewers, listeners and readers when promoting one’s business in the media. This fact made me appreciate the voracity at which the word calendar was used within this saleswoman’s speech to drive home its importance to motivate entrepreneurs to follow-up with prospects for new or repeat sales. Since my calendar has been open and used more often since that presentation, I wanted to share with women entrepreneurs and our readers how they can use their calendars to aid them in making more sales calls to increase their sales revenue. * An entrepreneur must schedule a time to call their prospects or people they recently met. By using their calendar they set dates so they don’t forget when to follow-up with someone. Many times busy business owners simply forget to contact prospects or customers back and lose the lead or sale. * If you call a prospect or lead and they do not have time to talk to you, ask them specifically about a date to call back (For example, a week, two weeks, or specific day) and then write the date and time immediately in your calendar so you don’t forget and then make that call when the time arrives no matter what. Don’t be deterred that day from placing the call. * The best days to place business calls are Tuesday and Wednesday. The best days for personal meetings are Wednesdays. Consider these facts when you set your weekly phone call or meeting schedule. By creating a set calendar of when you make calls and meetings every single week, you stay on track with your sales appointments, calls and goals. 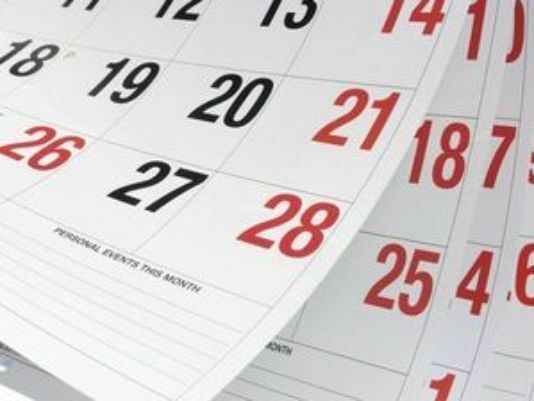 Your business calendar might just be the most important sales tool you can use. Start using it correctly with serious sales intent and watch your revenue grow. ← Do You Shine A Light On Your Business?